I love smoothies. I drink one or even two every day, especially green ones. Blending helps make greens full spectrum of nutrition readily available to the body, nutrients are encased inside plant cells and getting their benefits requires these cells’ walls to be ruptured. Smoothies are a nutritious and a quick way to get super healthy raw greens, fruits and vegetable into your diet without all the prep and chewing! And, a smoothie will keep in your refrigerator, as long as it’s covered, for about two and a half days. You can also freeze portion sizes of it (in glass containers preferably) and thaw out the night before which is what I usually do so I’m really only making them a couple times a week. All you need is a good blender and fresh, raw, organic fruits and vegetables. Organic is so so very important, I am not going to preach on this here but if you are absolutely dead set on not buying organic or maybe you feel you can only afford some organic produce then consider Googling “The Dirty Dozen” for a list of foods you must buy organic vs foods you can get away with. Apples, Pears, Celery, Cucumbers, Spinach, Strawberries to name a few you MUST buy organic. And if you still aren’t convinced, I promise they actually taste better! Drink a green smoothie at breakfast or even before breakfast and you will feel fresh and energized at the start of your day. You will have more energy and mental sharpness. Ensure you are properly hydrated. Provide you with the full spectrum of nature’s bioavailable chlorophyll, vitamins, nutrients, and antioxidants. Give you plenty of natural fiber to ensure excellent digestion. Help empower your immune system to protect you from illness and diseases and reduces inflammation. Improves the health, suppleness or appearance of your skin. Can aid in loosing and obtaining a healthy body weight. Save time on healthy food prep and enable you to consume a diverse mix of healthy foods. Below I am posting several smoothie recipes I have made, come across or use regularly, check back later as I will continue to add to the list as I try new combinations and please get creative, I would love to hear of your smoothie creations! Try adding Avocado for creaminess. Avocados provide high amounts of potassium and magnesium and can add healthy calories to your smoothie. Rotate your greens in green smoothies, you can make a basic green smoothie like Kim Snyders (below) and simply switch the lettuces and greens each time. Try to add herbs like parsley, basil or cilantro to your green smoothies. We often don’t consume good portions of these herbs but they are very nutritious and have cleansing properties by helping to extract heavy metals and other toxins out of the body. Spirulina and Chlorella are super foods and great added to smoothies. Use High Mineral Greens, Herbs, and Fruit in your smoothies: Arugula, Cucumber, Celery, Broccoli, Boy Choy, Kale (all types) Romaine, Green and Red Lettuce, Spinach, Collard Green, Swiss Chard, Wheatgrass, Basil, Cilantro, Dill, Fennel, Mint, Parsley, Alfalfa, Clover, Sunflower, Broccoli and Radish Sprouts, Acai Berries, Apples, Avocado, Banana, Blackberries, Blueberries, Cherries, Durian, Figs, Goji Berries, Grapefruit, Grapes, Huckleberries, Lemons, Limes, Orang, Papaya, Pear, Pineapple, Plums, Pomegranate, Strawberries and Tangerine. Nuts and nut milks really well blended are great in smoothies, Almonds, Brazil Nuts, Cacao, Coconut, Hemp Seeds, Macadamia, Pecans, Pine Nuts, Pumpin Seeds, Sesame Seeds or Tahini and Walnuts. Chia seeds have become a popular superfood, mainly for their high protein and omega-3 essential fatty acid content. 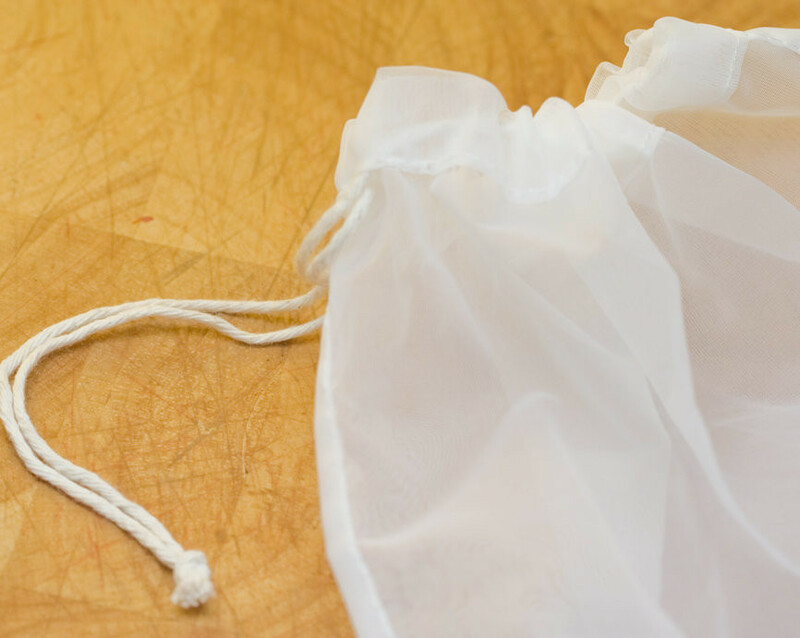 They are also a healthy addition to smoothies and will thicken it up considerably. Ginger, Maca and Turmeric Roots are amazing healthy additions to a smoothie. Fresh Stevia Leaf is a great way to naturally sweeten a smoothie, check your local garden store for a live plant! Dates work well too! Use frozen fruits for a thicker, cold smoothie. If you eat dairy yogurt is another good way to bulk up a smoothie, not always great with greens but spinach does blend well with yogurt. Here is a short list of some well-known Nutritionists and Health Enthusiasts signature smoothie recipes. The first one is one of mine and of course a personal favourite, I make this one for guests all the time and everyone loves it, I like to have it post yoga, hiking or a bike ride, its my healthy green pina colada! Add the water and chopped head of romaine and spinach to the blender. Starting the blender on a low speed, mix until smooth. Gradually moving to higher speeds, add the celery, apple and pear. Add the coriander and parsley if you choose. Add the banana and lemon juice last. Add all ingredients to a blender and whiz until smooth. With the motor running, feed all the ingredients except the ice cubes into a juicer one at a time. Pour into a drinking glass, add the ice cubes and sip slowly to enjoy its benefits. Place all ingredients into a blender until smooth. This smoothie is full of iron, potassium, vitamin C, and antioxidants. We often add olive leaf extract, echinacea, and elderberry extract to to make it a power-packed immunity booster as well. This is one of my favourite Summer Smoothies, the watermelon is so refreshing and one of my favorite summer fruits. Watermelon contains 0.7 milligrams of iron in just two cups. It’s also a great source of vitamin C with 28% DV in two cups. It’s hydrating as well. Add all the ingredients to your blender and blend on high for 30 seconds or until the smoothie is creamy. Blend spinach and almond milk until smooth. Next add the remaining fruits and blend again. The Pomegranate Citrus Punch green smoothie is a great energy and immunity booster. Once you master the art of seeding a pomegranate, you should celebrate with this antioxidant-rich green smoothie. Makes about 4 cups. Blend spinach, orange juice and water until smooth. Next add the remaining fruits and blend again. If you have two fresh oranges, feel free to add them to blender rather than the orange juice. This refreshing green smoothie helps speed up your metabolism with cinnamon as well as eases any stomach discomfort with a slice of ginger. Blend spinach and coconut water until smooth. Next add the remaining fruits and blend again. This Cucumber-Grape Punch superfood green smoothie with kale is packed with some amazing nutrients. The mighty green kale is an excellent source of manganese, which helps build bones, and supports connective tissues in the body. Blend kale and almond milk until smooth. Next add the remaining fruits and blend again. This smoothie uses the mild tasting green, bok choy, which is known as a cancer-fighting cabbage because of it’s good source of beta carotene. In just one 9 calorie cup of bok choy, you receive 63% vitamin A, 52% vitamin C and 88% calcium of your recommended daily value. Blend bok choy and almond milk until smooth. Next add the remaining fruits and blend again. Enjoy this immune boosting mango ginger green smoothie chock full of green vegetables and low in sugar. Did you know that ginger clears sinuses and soothes a sensitive stomach? Blend celery, parsley and water until smooth. Next add the remaining fruits and blend again. We are lovers off all things leafy green— especially kale. And this extremely creamy green smoothie is no exception. Blend spinach, carrot top leaves and water until smooth. Next add the remaining fruits and blend again. You can grate your carrots with a cheese grater, or steam them to soften them before blending. Get a lot of bang for your blend with this green smoothie. Avocado has a significant portion of healthy fats and vitamin E, while the coconut water is like nature’s gatorade, “hydrating and regenerating your tissue.” By gulping natural skin boosting ingredients in this green smoothie and applying external moisturizer (Jen’s favorite is unrefined coconut oil), your skin should be glowing in no time. Get adventurous with your green smoothies by rotating the greens you put in it (which is a great way to avoid alkaloid build-up.) Strawberries, kiwi and fresh oranges give this green smoothie a sweet vitamin C boost. Blend kale, dandelion greens and orange juice until smooth. Next add the remaining fruits and blend again. TIP: You can keep the kiwi skin on to add an extra nutritional boost of fiber. But feel free to peel the fuzzy kiwi skin. It’s really a personal preference. Give yourself a protein boost with this yummy Berry Protein Bash green smoothie. Protein burns slower than carbohydrates, so adding it to smoothies helps prevent blood sugar spikes and helps prevent hunger pains. And it’s also great if you are working towards a flat belly or building muscles. Yes, the majority of us are on a mission to get those firm abs back— and drinking a protein-rich smoothie after your work-outs is the perfect formula. Blend spinach and water until smooth. Next add the remaining fruits and blend again. * Soak overnight in water before blending, or use almond meal. Cranberries are an antioxidant powerhouse, so get them fresh during the fall and winter. By drinking this Healing Cranberry Cleanser green smoothie with cranberry, your body will experience the immediate effects of natural energy. 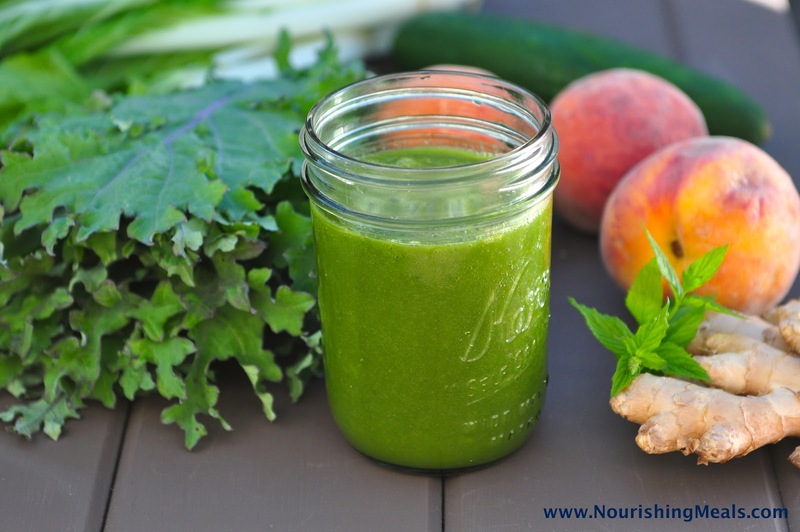 Get your healthy dose of vitamin C and fiber in this healing green smoothie! Blend kale and water until smooth. Next add the remaining fruits and blend again. Blend everything up in blender till creamy. *Option to add protein powder! Have figs and don’t know what to do with them? The easiest thing you can do (besides eating them plain) is blend them into a delicious and healthy smoothie. This Green Monster smoothie had an unexpected cake-batter-like flavor. Peel oranges with a knife and cut into pieces. Cut peach in half, discard pit and chop. Add oranges to blender, followed by peaches, romaine and ice. Blend on high until smooth. This green smoothie is very simple and yet very tasty. I love the way that fresh vanilla blends with the exotic sweetness of jackfruit. If you haven’t had jackfruit before, it’s a large fruit from southeast Asia. It taste like a mixture of banana, pineapple and mango. Some people say it tastes like Juicy Fruit gum. This is a mineral-rich green smoothie providing 27% of your daily value of calcium, and 5.5 milligrams of iron. I used goji berries in this recipe as they are a great source of protein. One tablespoon of goji berries has 1 gram of protein. If you do not have a high-speed blender, be sure to soak goji berries in water for 10 minutes before adding them to your blender. Don’t get creeped out by this green smoothie recipe because it has cucumber and broccoli in it. Go ahead and give it a try. The banana and kiwifruit blend wonderfully with crisp, refreshing cucumber and you’ll barely taste the broccoli. It’s all good! I’m not usually one for powdered supplements, but for this recipe I used a wheatgrass powder from Amazing Grass (available in health food stores). If you’re not on the go, you can use fresh wheatgrass juice. You’ll need a dedicated wheatgrass juicer, however. Even top-of-the-line blenders are not designed for breaking apart the tough cell walls of grasses. If you blend wheatgrass in a Vitamix, you’ll end up with bits of indigestible grass with no nutritional benefit. Since wheatgrass has a “highly distinctive” flavor on its own, I find that adding sweet pineapple, coconut water, and bananas mellow it out nicely. Delicious Sweet Treat, perfect for the Fall! Blend all ingredients in Vitamix or blender. Garnish with cinnamon sprinkled on top. Summer is peach and fig season, and luckily, both fruits are delicious when blended together in a green smoothie recipe! Figs are a good fruit-source of calcium. The figs in this recipe contain 89.6 milligrams, or 9% daily value, of calcium. Peaches are a good source of lycopene and lutein. Research shows that lycopene and lutein may help prevent heart disease, macular degeneration and certain cancers. Start by adding the liquid to your blender followed by the soft fruit. Add the greens to your blender last. Blend on high for 30 seconds or until the smoothie is creamy. You are going to make this fruit smoothie in two parts, then combine them in the glass. This recipe makes two servings, so double or triple as needed to serve more. Add all of the bottom layer ingredients to your blender and blend on high for about 30 seconds or until creamy. Pour the smoothie into two glasses, stopping when they are half full or when the mixture is divided evenly between the glasses. Next add the top layer ingredients to your blender and blend on high for about 30 seconds or until creamy. With a spoon, gently spoon the top layer on top of the bottom layer in the glass. Make sure you start with the inside edge of the glass and work your way toward the center. Distribute it evenly so that you don’t end up mixing the two layers together. * You can also use almond, cashew or coconut milk in this recipe if you do not have hazelnuts on hand. Two of my favorite summertime fruits lend their flavors to this delicious green smoothie recipe. Goji berries boost the antioxidant, protein and beta-carotene levels in this smoothie and radish greens provide a solid dose of minerals such as calcium and iron without any bitterness. Radish greens taste nothing like their roots, so if you don’t like radishes, it doesn’t mean that you won’t like their much milder greens. I highly recommend only using organic radish greens and be sure to wash them well. The fresh basil really adds a nice flavor to this smoothie that complements the strawberries and bananas. For me, five leaves of fresh basil is just right. Your tastes might vary so if this is your first time making this recipe, or using basil, start with three leaves and add more if you like. If using frozen bananas, cut into pieces before adding to your blender. Start by adding the liquid to your blender, followed by the soft fruit. Add the greens to your blender last. Blend on high for 30 seconds or until the smoothie is creamy. Enjoy this delicious fruit smoothie when you need to cool down on a warm spring day. Cinnamon accents the flavor of fresh strawberry, peach and banana in a cool, creamy smoothie. A secret ingredient in this smoothie is carrot. While the flavor is hidden by the sweet fruit, the nutrients are unlocked in the blending process, providing an exceptionally high dose of vitamin A (as beta-carotene). Carrots are famous for promoting healthy vision, especially night vision. You’ll also get a good dose of vitamin C.
Add a tropical flavor note by using fresh young coconut water in place of the plain water. I just love how the flavors of blackberries and apples mingle with chocolate in this delicious and nutritious green smoothie recipe! Apples are a great source of fiber, which helps with weight loss and bowel function. Studies also suggest that eating apples might provide some health benefits for people who suffer from asthma. Blackberries are a rich source of antioxidants. Cacao is a great source of antioxidants as well. Depending on the brand of raw cacao you get, it can be an exceptional source of iron. Sunfood brand raw cacao has the highest iron content of any raw chocolate, which provides a significant amount of the 24 milligrams this recipe contains. If you do not have a high-speed blender, grind cacao nibs in a coffee grinder or use cacao powder. Beets have an earthy flavor that blends well with strawberries, pineapple and bananas. You probably don’t want a beet-flavored smoothie, but if you blend it with sweet fruit and use mild greens, you’ll get a delicious green smoothie with a wonderful purplish color and an excellent source of folate. Be sure to cut the beet into small pieces before blending, and only blend them if you have a high-speed blender like a Omniblend or Vitamix. Otherwise, use beet juice as your smoothie liquid. Avoid using bitter greens like dandelion and kale in smoothies that contain beet. Instead, blend beets with escarole, butter or romaine lettuces, or use fresh baby spinach.Beets are particularly rich in folate. One 2-inch in diameter beet contains up to 22% RDA of folate. Beets are also a great source of copper, iron, magnesium, manganese, phosphorus and potassium. A small beet provides 35 calories and 1 gram of protein. I have recently discovered the benefits of adding Maca to my diet, although not new, Maca has been added to the current popular list of super foods and while it does have a pretty nice looking nutritional profile, I was attracted to it for claims of providing energy, stamina and hormone balance. See my post on Maca HERE for more info! This recipe includes a few super foods and makes one perfect sized smoothie, if you like a sweeter smoothie, add a whole banana or an extra date! I love a good Caesar, I load mine with lemon, picked beans and/or asparagus, celery, horseradish and extra hot sauce Mmmmm! But, I get quite the headache from the MSG in Mott’s Clamato Juice and I tried finding a healthier version and it seems it’s just not out there. Plus, the rest of the ingredients in Mott’s brand aren’t so great either. I’m not going to pretend that home-made is more economical as the recipe calls for 4 bottles of clam juice coming in at $3 a bottle but it sure does taste awesome, tried and tested on skeptics at a Christmas Party. This recipe fills one of those big glass Apple Juice Jugs, not really sure how much that is but you can put it in whatever container works.